Each year, AFP International makes an award to the chapter with more than 400 members that has demonstrated a key commitment to diversity and inclusion. 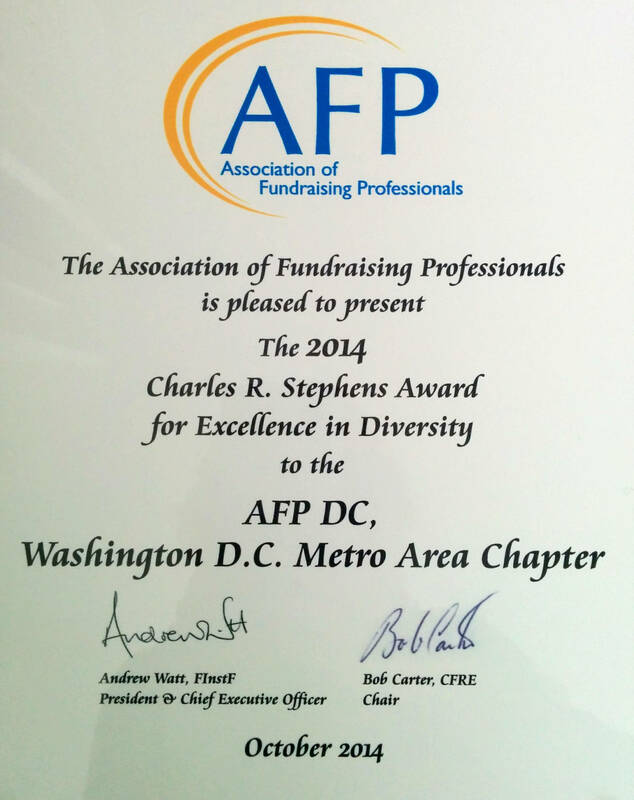 AFP DC was also awarded in 2010 with the Charles R. Stephens Excellence in Diversity Award for the incorporation of the Outstanding Diversity Leader Award into the Chapter’s National Capital Philanthropy Day program. The Friends of Diversity Designation recognizes those chapters who have accomplished many of the key objectives outlined in the advancing diversity strategic goal. This designation encourages chapters to perform specific activities designed to increase diversity within fundraising and public awareness of the importance of philanthropy in all cultures. AFP DC 2nd Annual Diversity Dialogues: Fundraising Across Cultures Resource Kit. An executive summary of the program and diversity practices in philanthropy. AFP International: Inclusion, Diversity, Equity, Access (IDEA). Background, Lean In Partnership, Report, and Scholarships. 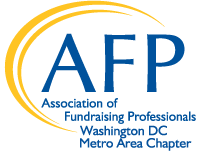 If you are interested in serving on the Diversity Committee for the AFP DC chapter, please contact info@afpdc.org.